Keyword Mining is the process of finding relevant content keywords specific to an individual client’s business needs and objectives and may contain a list of reference keywords, their corresponding traffic, most recent click-through data, and competitor ranking analysis. Consider keywords as the titles of books on a shelf – and what are books? they are containers of content. So your website pages are like books of content and each one has its own title and primary keywords that describe what the book – website page is about. It is important to establish what it is that you want to be found for – make a list of the primary services that you provide and then get an seo firm to do research and identify what keywords should be targeted that are highly relevant for your website content. It makes no sense at all to go off designing pretty websites with lots of yummy pictures and fancy graphics – search engines cannot see or understand flash, graphics, and pictures – so don’t start there. Getting the right keywords which are highly relevant to your website content is what the search engines will index and ultimately deliver search results for your website. Start at the beginning by determining what it is that you sell and then develop a keyword marketing strategy based on those key sales points, research and find the right keywords – keyword mining – then develop meaningful quality text content that describes the keyword selling points. 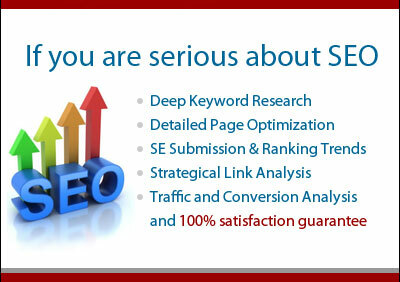 Talk to an SEO specialist – a firm that specialises in search engine optimisation that does this all the time! Researching and analysing keywords or key phrases based on the objectives of a clients website is called Keyword Mining and forms part of the digital search marketing process. It is imperative to choose the right keywords and is critical for the ultimate success of the website. The more targeted and effective the keywords are, the more successful the results will be. Keyword Mining is a process that involves a great deal of research and analysis to produce a list of potential keywords and phrases that visitors actually use to find a clients product or service and optimising a website for these keywords will increase the traffic generated from search engines. The First One On approach to Keyword Mining is to develop keyword lists based on demographic and geographic factors, consumer behaviour, and competitive analysis. To help clients understand various customer segments and their keyword usage patterns, results in more effectively targeted marketing and a decreased overall spend. First One On builds a working keyword database specific to a client’s needs that may contain a list of reference keywords, their corresponding traffic, most recent click-through data, and competitor ranking for those keywords /key phrases.